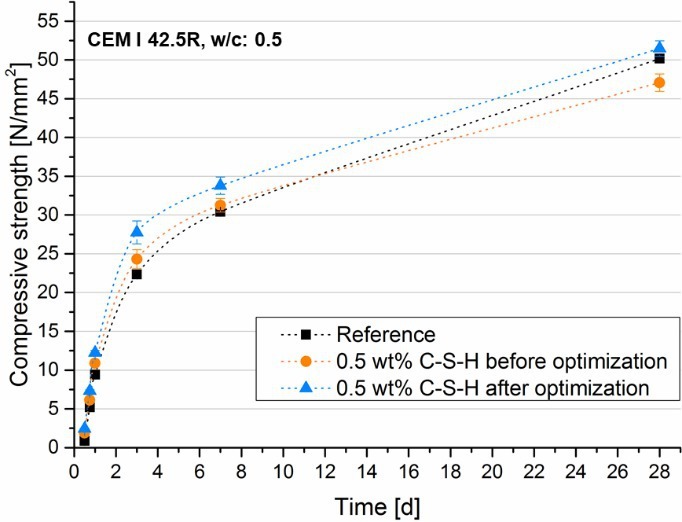 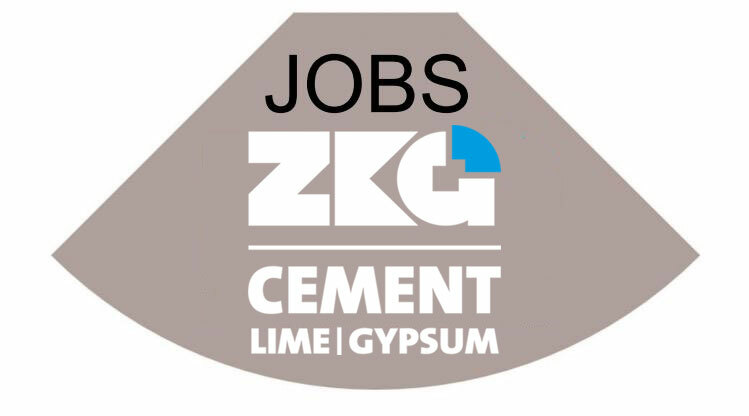 The acceleration of cement hydration through synthetic C-S-H shows great potential in increasing the early strength of cementitious systems. 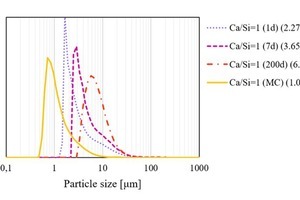 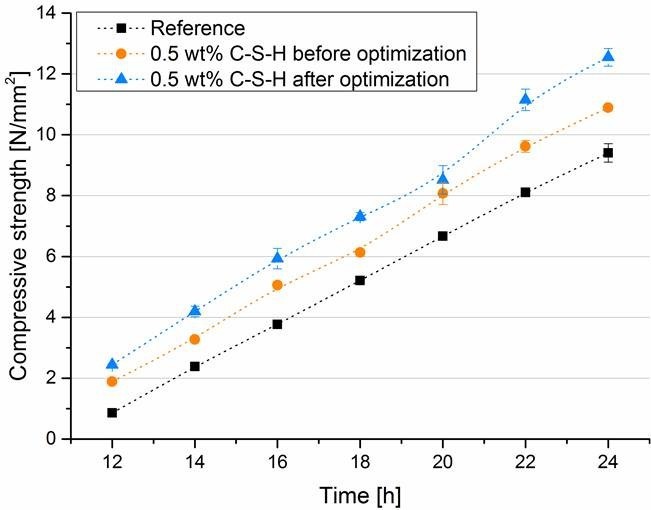 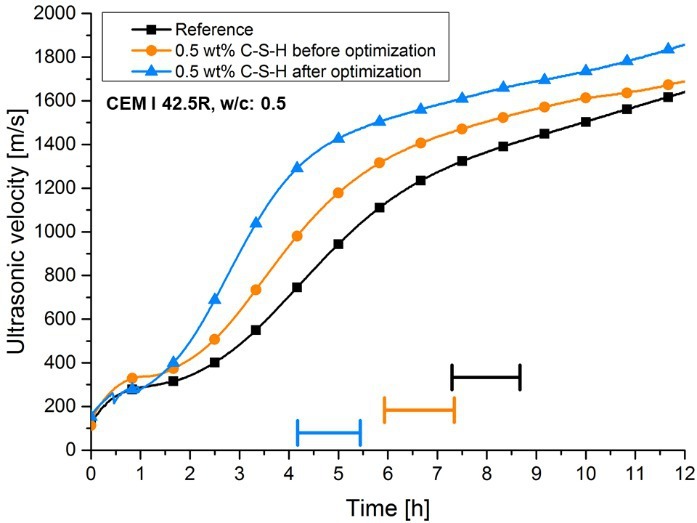 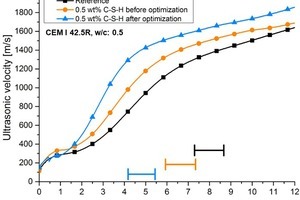 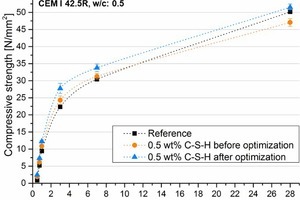 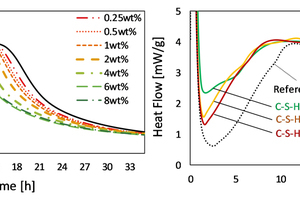 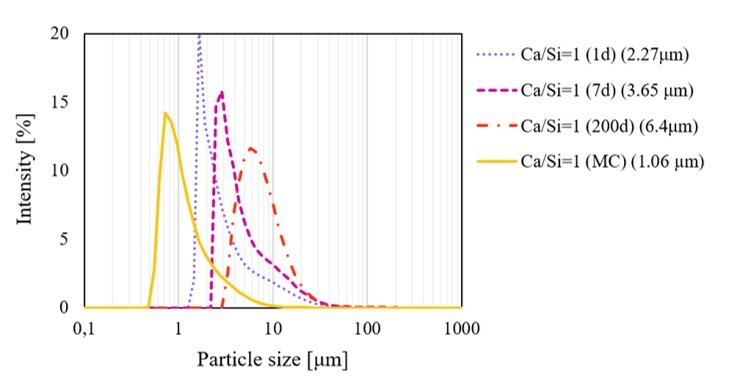 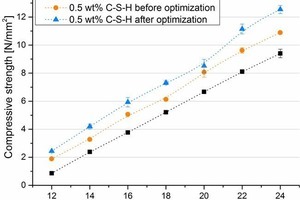 The selection of a suitable calcium-to-silicon ratio and optimized synthesis conditions results in a significant strength gain compared to non-optimized systems. 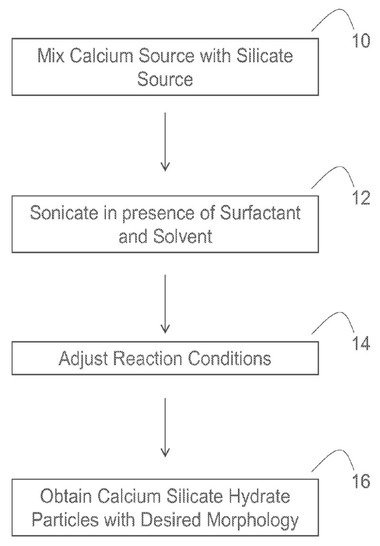 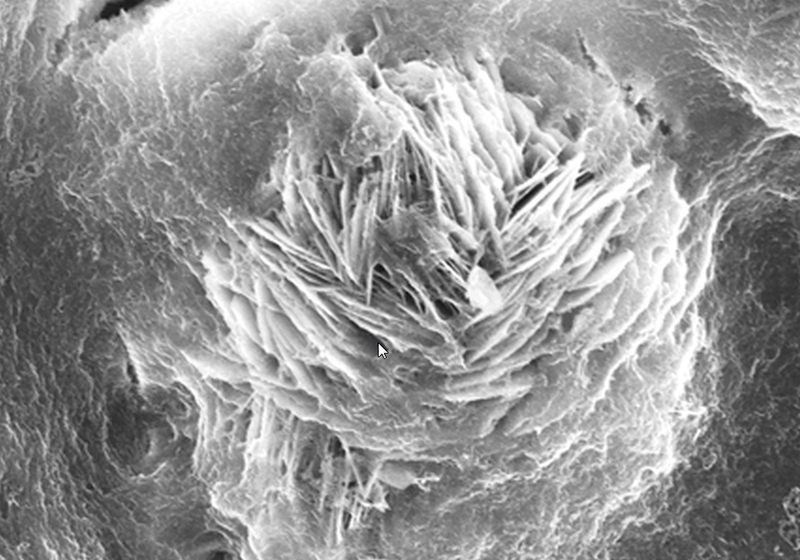 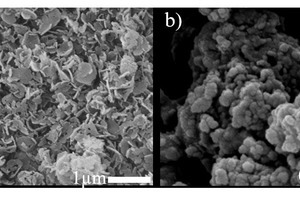 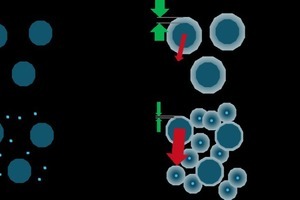 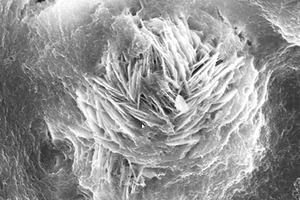 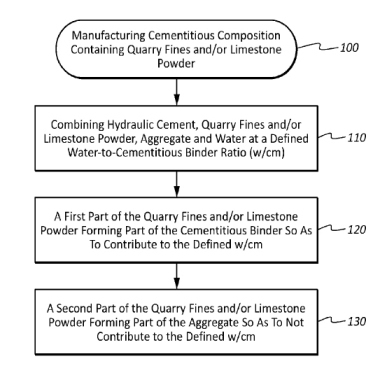 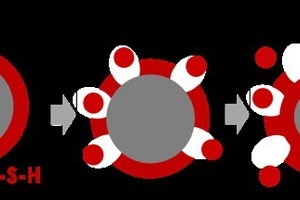 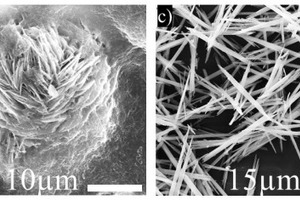 Polymers may contribute during synthesis to stabilizing the C-S-H aggregates, thus enhancing the storage stability of the suspensions.